It has become a regular practice to debate about BJP vs AAP in Delhi and most of the times, emotional arguments are passed during this conversation. And instead of constructive arguments mostly criticism becomes the primary tool to prove why BJP or AAP is right party to make government in Delhi. It's very unfortunate that well educated people talk like cynics. For me Arvind Kejriwal is already a winner. The biggest signal is the act of bringing Kiran Bedi as CM candidate by BJP. Do you think that BJP would have taken this step without AAP in political scenario. I think never. Most of the times such people were never considered capable of joining politics. Here I am not saying if she is right CM candidate or not. I have high regards for her achievements in life and good to see that there is such candidate from BJP. There are many such examples wherein political parties are now careful for all their decisions of selecting candidates, deciding agendas etc. How many times, have you heard of 'corruption' related agendas during election, when AAP was not there. The strange part of political scenario is that parties are at least thinking about constructive agendas and putting appropriate efforts to convey right things to the public. But supporters of these political parties are mostly into criticism and illogical discussions, which is not helping anyone. I hope that gradually things will happen for better with every step by parties like AAP, their leaders and supporters. Arvind Kejriwal is already a winner for me, even I don't have a right to cast vote in Delhi !!! The results will prove the winner as 'Jo Jeeta Wohi Sikandar'. How do you think about campaigning happening this time? Agree.. There is still hope of better politics in the country.. May everything happen for good..
Roohi - We are also hoping for the best ! Somehow I am getting a feeling now that negative campaigning by BJP is going to hit them badly. And I don't mind AAP is opposition as well. Good opposition will good number of MLAs will also be very helpful in longer run. I completely agree with you. In my opinion, BJP itself is responsible for its negative image now. Hope AAP brings the much needed change in our politics. 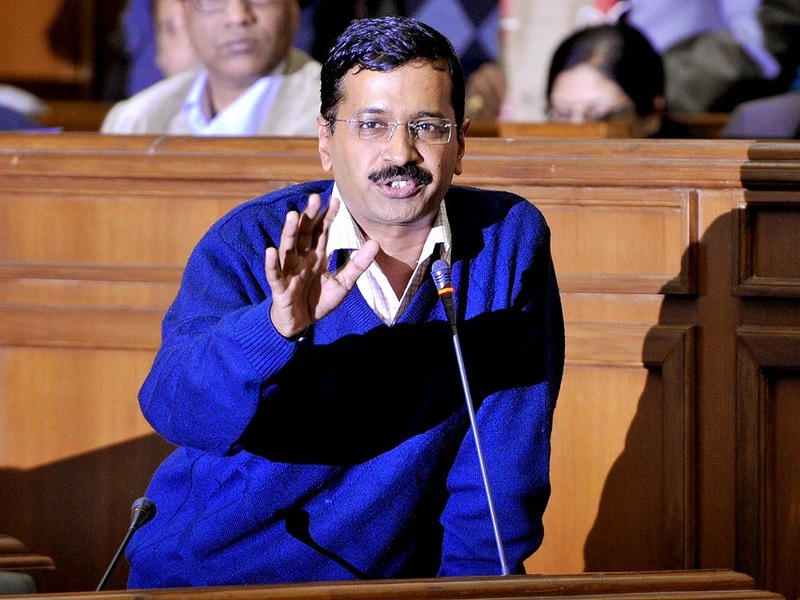 Now that Mr Kejriwal is in power for some time, how do you feel about Delhi elections and it's results? What kind of changes you saw, what made you happy and what disappointed you?